You’re never too old for braces. In fact, as many as three-quarters of adults have some type of orthodontic problem, and adults make up 20% of all orthodontic patients. 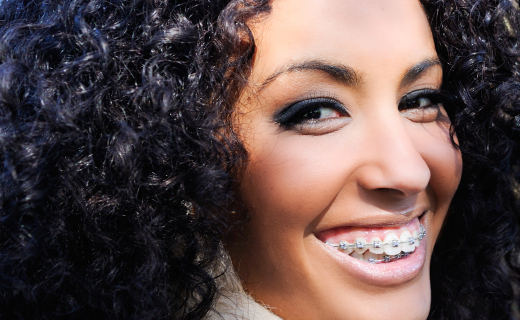 Discover how braces can straighten out your dental problems. Reduced risk of tooth decay since misaligned are more difficult to clean, which makes them more prone to decay and disease. According to orthodontists, age is not an issue in orthodontic treatment. But certain factors affect the decision of braces for adults, such as the adult’s current dental health, their overall health, and the dental problem in need of repair. Yet even the best orthodontist cannot provide treatment when certain diseases or drugs would complicate care, such as periodontal disease, leukemia, severe heart-valve disease, uncontrolled diabetes, bleeding disorders, and when taking some medications for arthritis or osteoporosis. Braces have grown up over the years and today’s orthodontic appliances are less noticeable and more comfortable than ever. New orthodontic options include clear braces, virtually invisible clear aligners, and braces placed on the back of teeth. To find the best orthodontist in Dalton, ask your dentist and your friends for recommendations and discover the joy of a better smile.